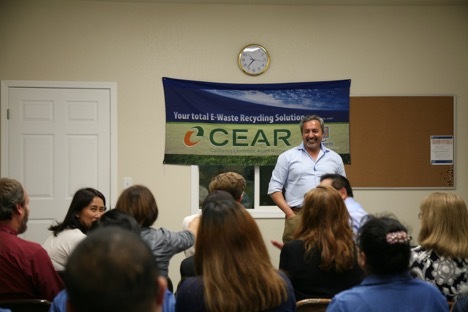 Congressman Ami Bera made a visit to the CEAR facility to talk with our employees about the issues he’s working on and his plans to make our city even better by bringing more jobs. This is his 3rd visit to the CEAR Facility. Environmental policy is important to him and he sees the positive impact CEAR has made on the environment and green job creation. He visited for over an hour and answered many questions from the staff, including what he has done to help implement clean energy usage in his district and of course, what he sees for the future of healthcare. The national forecasters are predicting that Dr. Bera is a solid win for the 7th district.